Do you drink de-caff while everyone else in your household loves caffeine? 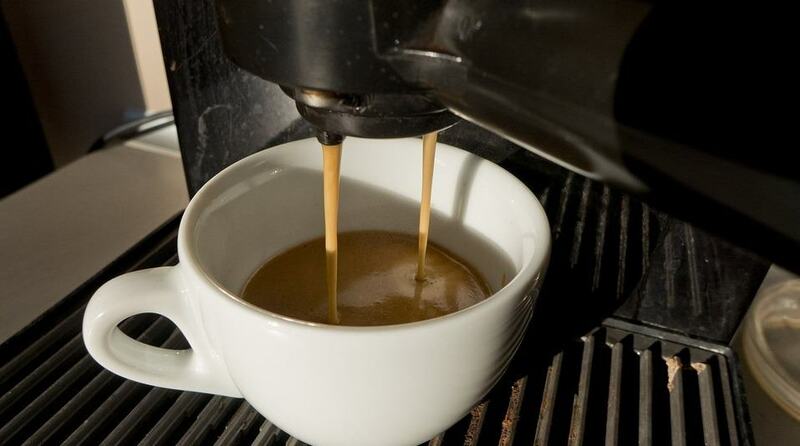 Or perhaps you get up early and want a single cup of Joe before others descend on the kitchen? If so, this is the article for you! Take a look at our round up and find the best dual brew coffee maker for you. 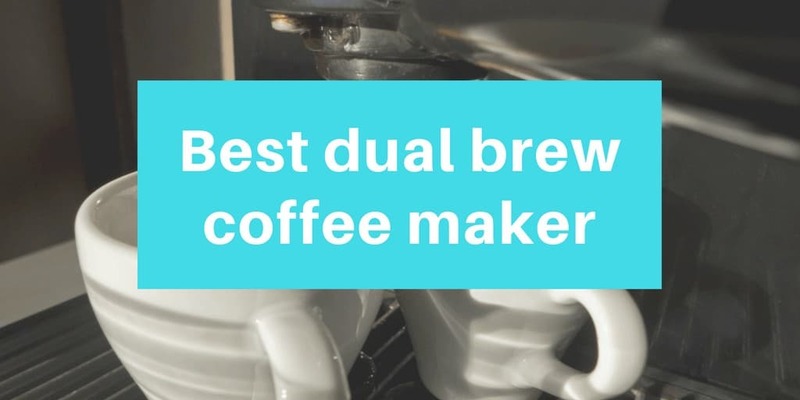 What’s a dual brew coffee maker? Why buy a dual brew coffee maker? 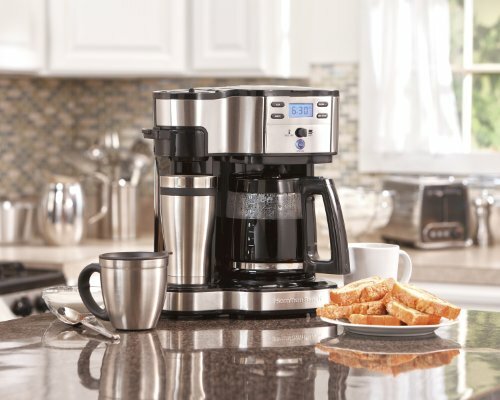 What should you look for in a dual brew coffee maker? 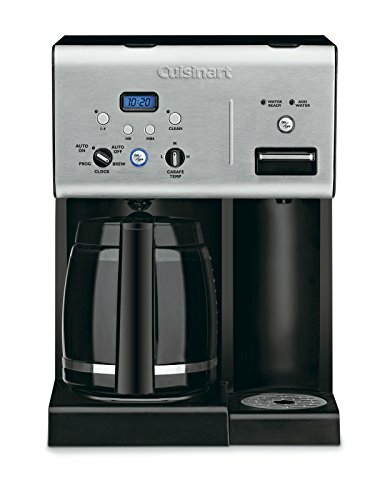 The Cuisinart CHW-12 combines a generous 12 cup carafe on one side with an instant hot water system on the other. It’s an approach that provides a lot of flexibility. 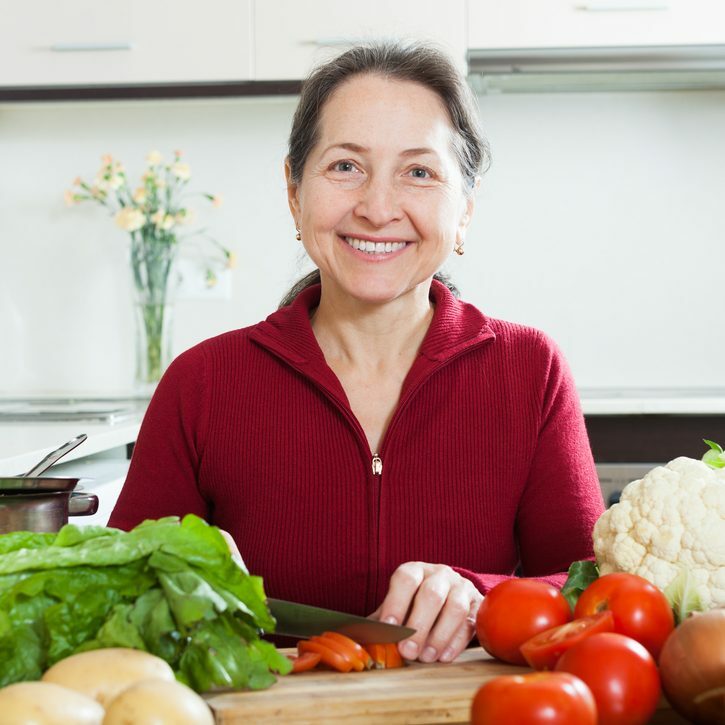 Use the hot water for cocoa or tea, or even a morning bowl of oatmeal. But if you’ve got a coffee-lover wanting a different option to the carafe – de-caff, for example – they may feel short-changed. There isn’t a second coffee maker here, so they’ll be stuck with instant. On the plus side, the two systems operate independently. So if someone wants another drink while the coffee is brewing, there’s no waiting around. And with a generous 54-ounce water dispenser, you may be able to do away with your kettle altogether. The coffee maker has some nice features too. The carafe is good quality and doesn’t drip when pouring. It can be programmed to brew up to 24 hours in advance, and there’s a handy self-clean function. You can also pause brewing to pour a cup of coffee before the carafe is ready. And there are three different temperature settings – great for people who struggle to get their coffee hot enough. 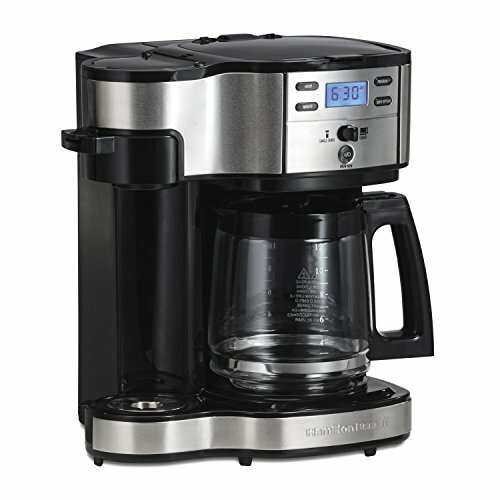 Unlike the Cuisinart, the Hamilton Beach 49980A focuses on coffee all the way. One side of this dual brew machine will make a single serving of Joe, while the other will brew a full carafe. And there are options both ways. On the single serving side, you can fill a travel mug up to 14 ounces. Alternatively, if you’re looking for a smaller drink, just adjust the height of the cup stands to avoid splashes. The carafe will hold up to 12 cups, and it’s got a handy gauge to show how many servings it contains. The single serving side takes soft sided pods, or you can put your favorite ground coffee into the mesh basket. 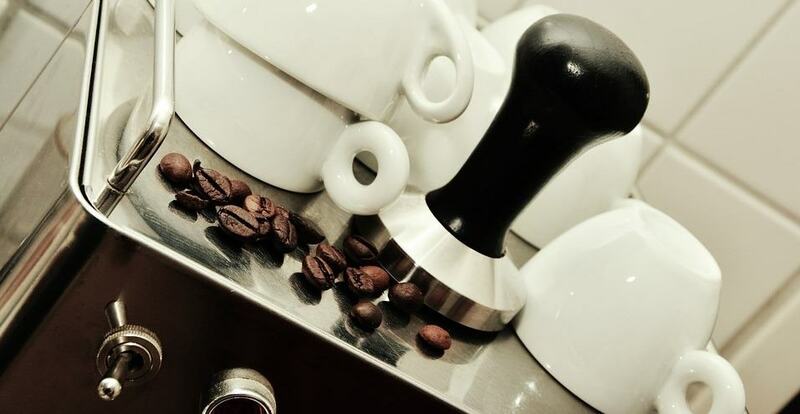 You may also like: Ninja Coffee Bar vs Nespresso – Which Is Right for You? Be warned though: you can’t use K-cups with this machine. You need to flip a switch to operate on one side of the machine or the other. That means you won’t be able to brew on both sides at once. But there is a “pause brew” function that will let you pour a cup from the carafe before it’s full. There are other nice features too. For those who like robust flavors, there’s a brew strength function for regular or bold coffee. And if you love waking to the aroma of coffee, you’ll like the programmable timer. This option from Kitchen Selectives takes a different approach to dual brewing, offering two full carafes. It’s the perfect option if you want to offer a choice to lots of coffee drinkers. There’s no compromise on the size of the carafes either. Both offer a full 12 cups – so you’ll have enough to see the biggest household through a leisurely breakfast. They brew independently too, so you’ll be able to get both ready at the same time. And if your de-caff drinkers drink up more quickly, you can make a second pot without affecting the other side. Importantly for a machine with such big carafes, there’s the option to interrupt the brewing process. If you’re desperate for a caffeine fix, push a button and you’ll be able to remove the carafe without it dripping all over your countertop. And although we’re focusing on coffee, there’s no reason you couldn’t use a carafe to make tea if you preferred. The Ninja Coffee Bar offers a veritable host of features. But it’s the impressive range of serving sizes that gives it its place on this list. Strictly speaking, this isn’t a dual brew machine: after all, it only brews one drink at a time. But with four different single serving sizes as well as the option for a half- or full-carafe, it will do essentially the same job as conventional dual brewers. If you need a cup of de-caff, just use the single serving option before brewing up a carafe. What you lose in terms of time, you’ll more than make up for in the number of options available. Choose from three different “custom brew” styles – classic, rich or over ice. Then there are the “signature brews” – specialty, or the robust Cafe Forte. Last but not least, you’ll get an integrated milk frother too. Whip up your very own cappuccinos and lattes for the individualists, then brew a carafe for the breakfast table. Perfect. The second Hamilton Beach machine to make our list, the 49950C shares many characteristics of the 49980A. There’s the 12 cup carafe on one side, and different single serving sizes on the other. Each side has its own water reservoir and brews independently. You can choose from regular or bold brews on both sides. And you can programme the carafe side to brew at a time to suit you. The two machines look surprisingly different, however. And that’s at least in part because the single serving side works in quite different ways. Whereas the 49980A takes only soft pods or ground coffee, the 49950C will take K-cups. So if you have a favorite flavor K-Cup, this is the one to choose. And you’ll get a removable cup rest that doubles as a container for your K-Cups into the bargain. 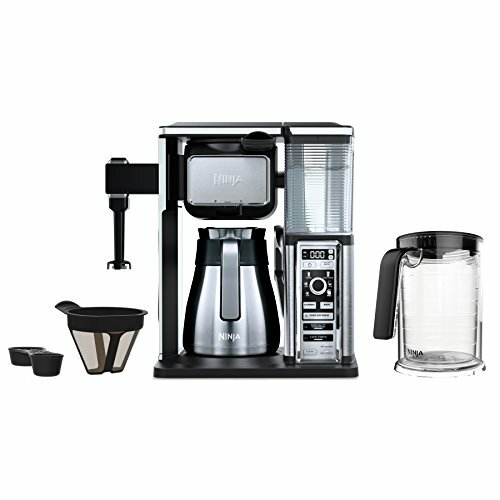 This model from Mr. Coffee combines a coffee maker with 12 cup carafe with a hot water system. As with the Cuisinart CHW-12, that means any coffee drinkers wanting a different option to whatever is brewing in the carafe will have to make do with instant coffee. But hey, serves them right for drinking de-caff, right? There’s a simple lever for dispensing hot water, allowing one touch operation. And the coffee maker can be programmed so your coffee is ready when you get out of bed. There’s also the option to interrupt brewing so you can pour a cup before the whole carafe is ready. It’s a good-looking machine too, with an LED display that allows it to double as a kitchen clock. And its compact design won’t take up a lot of space. 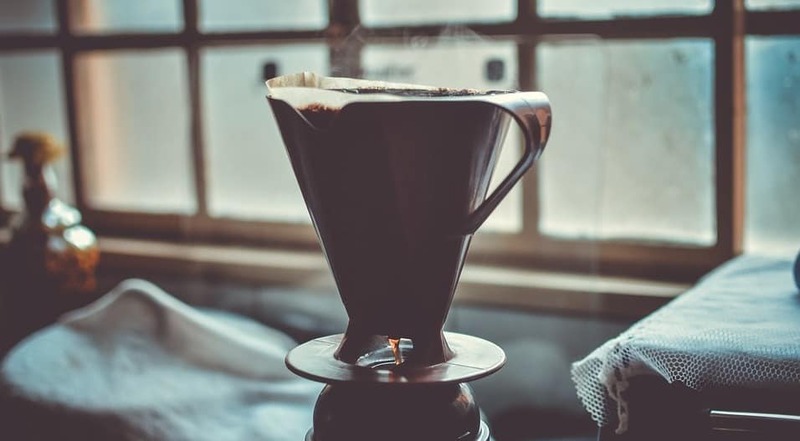 You’ll be familiar with standard drip coffee makers. They take a few minutes to brew, gradually filling up a carafe with coffee. When it’s ready, you’ll have enough to pass around the breakfast table. They’re perfect when you’re serving lots of people who like their coffee the same way. And if you enjoy a leisurely breakfast alongside family or friends, they’re a great part of the dining experience. At the other end of the spectrum are single serve coffee makers. These usually use pods, although some also take ground coffee. They’re very simple to use, dispensing a single cup of coffee within seconds. 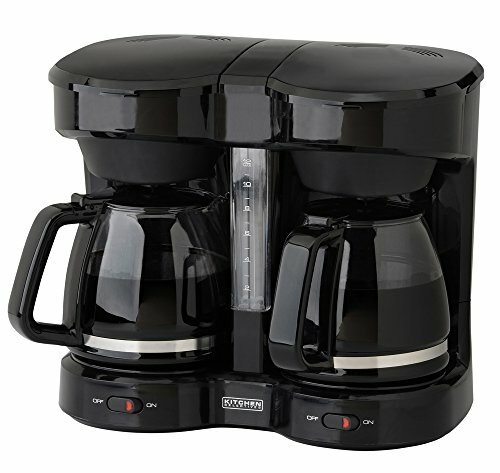 A dual brew coffee maker usually combines both features. You’ll be able to brew a full carafe of coffee and a single serving, all from the same machine. There are some variations on the theme too – we’ll look at those in our reviews. A single serve machine will allow everyone to have their own cup of coffee, ready to order in seconds. You might think that would give you all the flexibility you need. That’s true. But it does mean missing out on some parts of the coffee experience. For a start, the flavor of drip coffee is quite different. 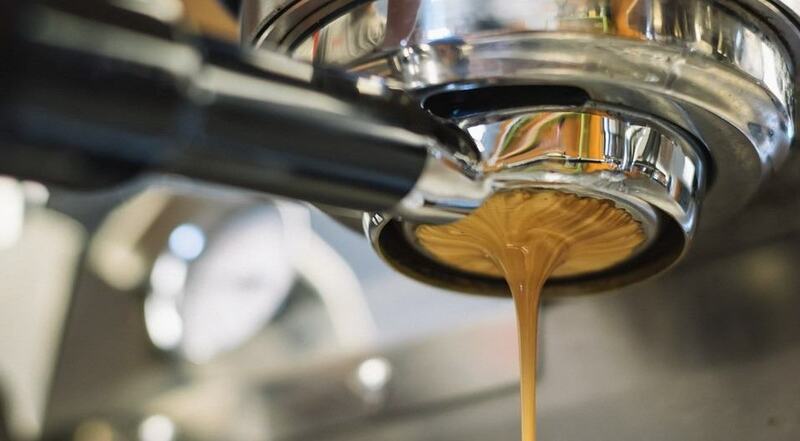 In a single serve machine, the contact time between the coffee and hot water is just a few seconds. In drip coffee, on the other hand, that contact time is about five minutes. As a result, you’ll get quite a different flavor. And with a single serve machine, preparing and serving coffee is very much an individual pursuit. You won’t have a carafe to share with your dining companions. With a drip machine, on the other hand, you’ll be waiting several minutes for your carafe to fill. And if someone likes their coffee made differently, that’s too bad. They’ll have to drink the same thing as everyone else. A dual brew machine gives you much more flexibility. Make a carafe of coffee for those who have the same preferences. Then make a single cup for anyone who wants something different. Easy, right? Both carafe and single cup sizes will vary between machines. Consider how many cups you need your carafe to hold. 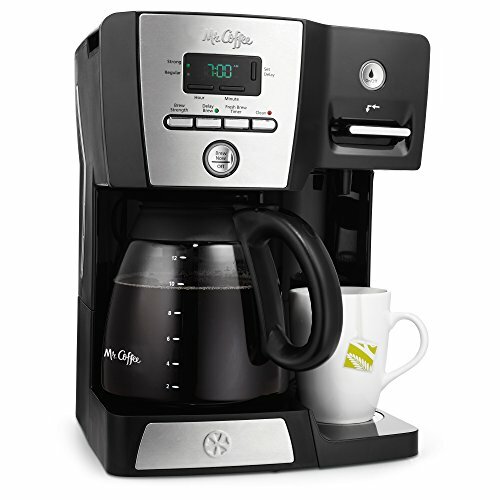 If you need a bigger carafe – say ten or twelve cups – think about a machine that allows you to pause brewing. If you’re desperate for a coffee, you might not want to wait for the carafe to fill. And think about how big you want your “single cup” to be. Some machines offer flexible serving sizes. If you want a small cup first thing and a travel mug as you leave the house, that may suit you. Will your carafe be drained as soon as it’s brewed, or have you got a household who rise at different times? If it’s the latter, you’ll want a way to keep the coffee hot. Think about whether you like the convenience of a hot plate, or prefer a thermal carafe to avoid over-extraction. Every coffee maker needs some degree of maintenance, but some are easier than others. Do you want a self-cleaning carafe, or will you only believe it’s clean if you’ve got out the scrubbing brush? Do you want an integrated filtration system to cut down on descaling? Are you happy to get out the baby oil for a stainless steel finish? Or would you prefer the simplicity of plastic casing? 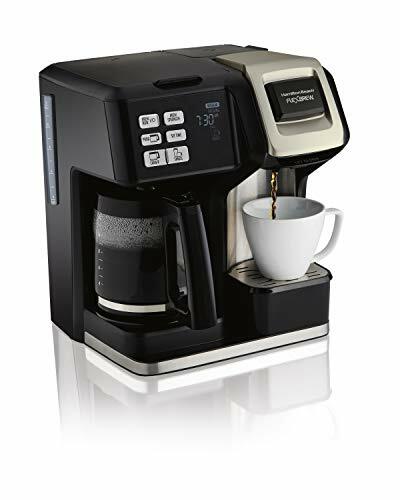 For a great dual brew machine, we’d go for the Hamilton Beach 49980A. We love the ability to choose from single serving or carafe, and the brew strength selector is a great touch. For us, using soft pods is an advantage – they don’t end up in landfill like K-Cups. Whichever machine you choose, we hope you love the results!